Tackle today’s visual effects challenges with optimized creative workflows, accelerated rendering activities, and management simplicity. The Panasas ActiveStor solution lets you devote more time to what matters most – your craft. Data-intensive media rendering and animation jobs demand powerful processing of complex assets with 4K delivery formats, denser colors, and variable frame rates. If your storage can’t keep up, wall-clock time increases, and deadlines suffer. To meet performance demands, the entire render farm needs to align with storage that easily balances mixed-file rendering across the entire infrastructure. You don’t have time to shift focus away from creative workflows – so why choose storage solutions that force you to do just that? With Panasas, you can deploy quickly and manage effortlessly. 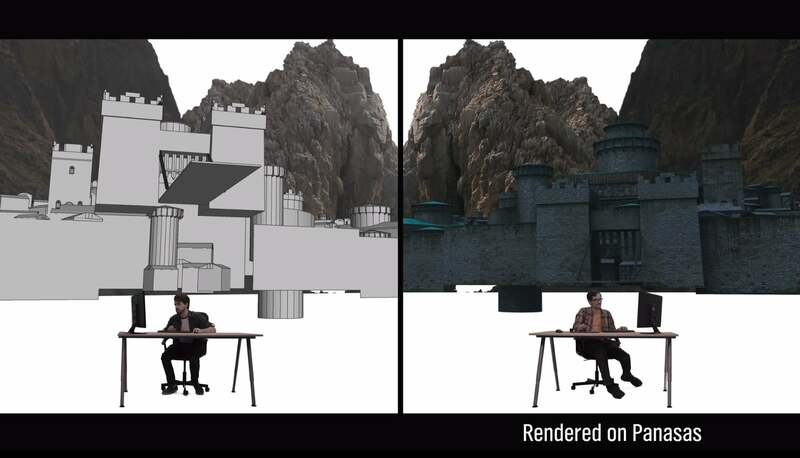 Scale on-demand and accelerate rendering times so you can work faster and more efficiently. Slash rendering times with parallel storage performance for high-bandwidth, aggregate compute farm workloads – letting you process more rendering jobs. Scale up and out with the ActiveStor solution. Balance mixed-file rendering workloads across all storage nodes, optimizing your entire infrastructure and improving time-to-results by up to 5X. An intuitive graphical user interface and storage automation features significantly enhance manageability and reduce administrative effort. And, with unparalleled reliability, you’ll have confidence your VFX render jobs always complete.